Stampede Cares – Stampede Meat, Inc.
At Stampede Meat, we not only focus on our customer strategy, but also on contributing to the communities in which our team members live and work. Like our own company values to challenge, commit, embrace, improve and perform, we feel it is our responsibility to help end hunger and domestic violence in our neighborhoods. Our goal is to provide nourishment, support and trust in order to inspire families to grow and strive for success. Through volunteer work, donations and dedication to our community, we aim to give every person a chance for success and good health. We challenge ourselves to make a difference for the betterment of our community. Like the Stampede Values we live and work by, we strive to question the status quo in order to help those in need. Together, we can find the best solutions to fight hunger and domestic violence. We have the power to feed, empower and instill trust within our community. Stampede Values state that our company strongly recognizes how new ideas are the building blocks to our future. By fostering innovation every day, we lead the necessary change in our communities to end hunger and domestic violence. We are dedicated to feeding and healing our neighborhoods. Each and every day, we commit to building onto what we’ve already accomplished. Each promise made in our values is backed with a strong passion to serve. We sincerely want to make a difference, and we always follow through. 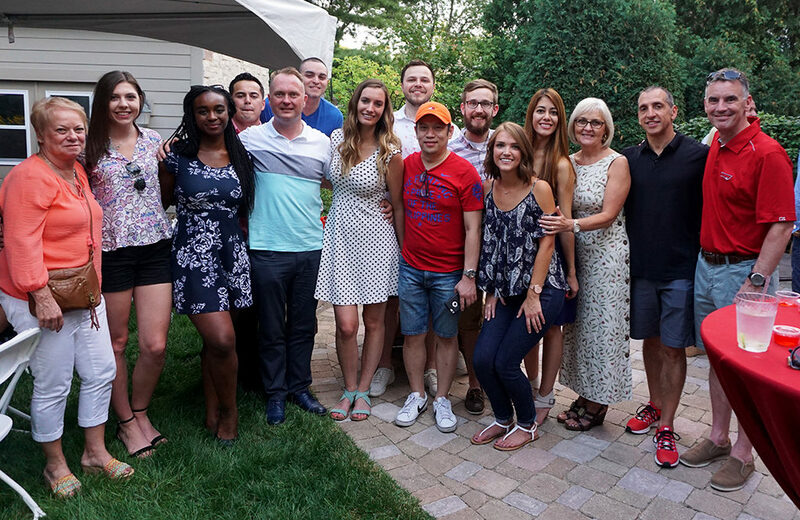 Stampede Cares participates in multiple team building and fundraising events throughout the year in order to strengthen our surrounding communities. In 2017, Stampede Cares partnered with Denny’s in support of No Kid Hungry, a national nonprofit fighting to end child hunger, connect kids with nutritious foods and educate families about healthy, affordable cooking. 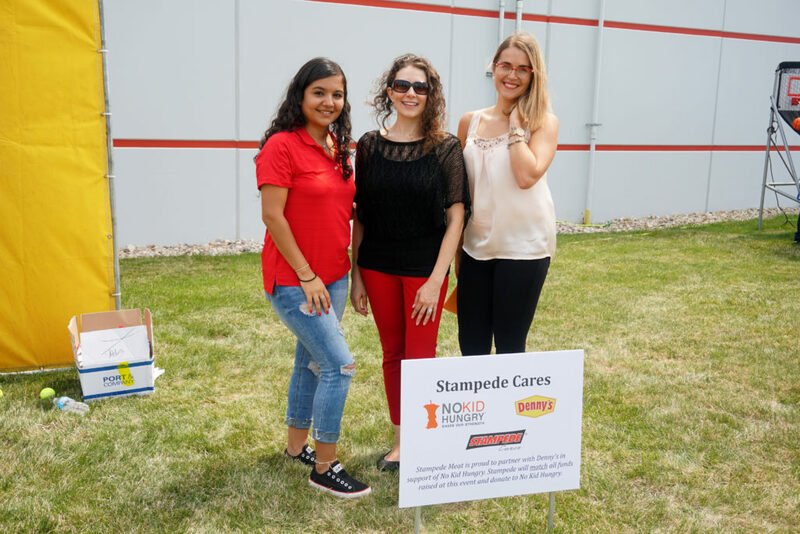 Through carnival games at an all-staff picnic, T-shirt sales and a silent auction at a company barbeque, Stampede raised $7,644 to donate to the cause. The No Kid Hungry campaign said Stampede’s efforts helped connect kids with more than 76,000 meals. 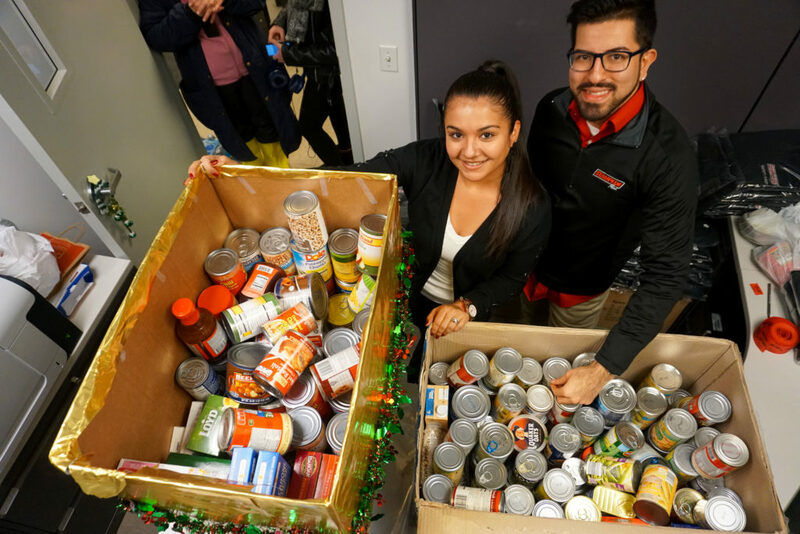 The team also steps it up each holiday season, donating hundreds of nonperishable food items to the Greater Chicago Food Depository. Stampede is a longtime charitable partner with the GCFD. Brock is extremely passionate about giving back, especially when efforts work toward solving child hunger. In 2013, Panda Cares invited him to speak about the Power of Giving at the Panda Leaders Conference.